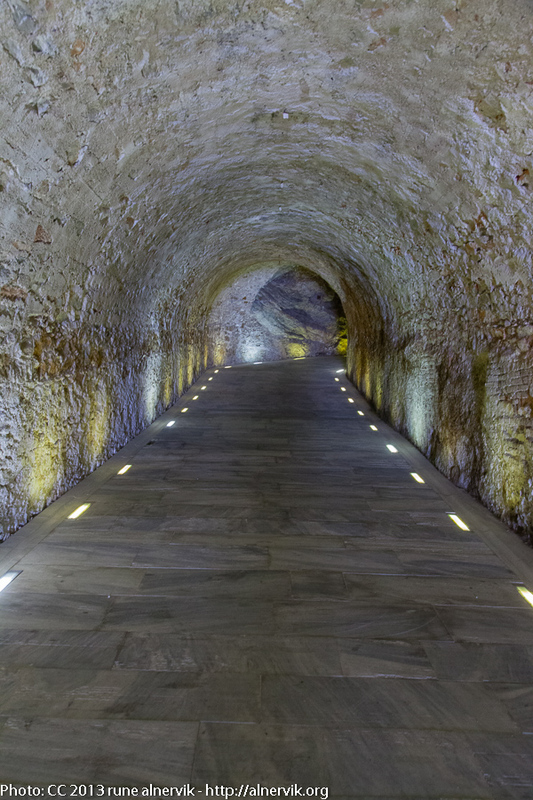 After passing the curve in Panathinaikon Stadium a tunnel come visible, which look exciting and mysterious. At the end of the tunnel you reach several rooms, possible a building, probably called House of Athletics. In one room there are the official poster for each Olympic Games since 1896 and forward. Also the used torch on each games can be found there. Beside being museum there are changing rooms for the athletics. This entry was posted in Kultur, Resor, Stad and tagged Aten, Grekland on 2013/05/26 by Rune.